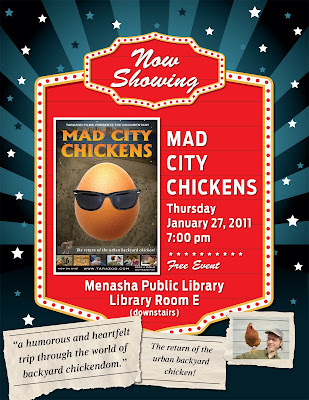 ~January 27th Menasha, Wisconsin - Public Screening presented by the City of Menasha Sustainability Board - 7:00pm Menasha Public Library, 440 First St.
First MCC Screening of 2011 Tonight! 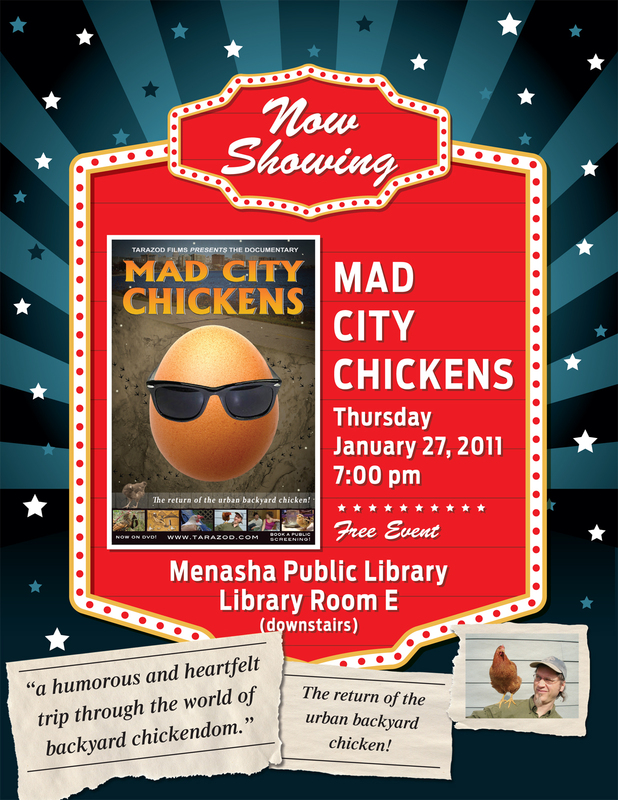 Mad City Chickens Public Screening ~January 21st, 2011 Stevens Point, Wisconsin - Sponsored by the North Central Wisconsin Master Gardeners, Garden Visions - 6:00pm Ramada, 1501 N. Point Dr.
One potential new project is a documentary piece with the "working title" of Dark Ride. 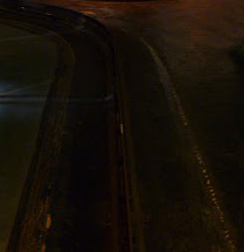 We have much research to do before we can even say if this can be made into a film, yet the development is underway.